A library of PDF’s including all the HeatSaver® data collected from the Center for Green Technology can be found at the bottom of this page. 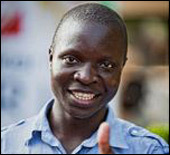 If you don’t know William Kamkwamba’s story, please take a moment. You will be very glad you did! Video. Apogee Media is a full service web design, management and maintenance company. Responsive and responsible while maintaining vision and creativity. Climate Neutral Campus Report Stay up to date on solutions that colleges and universities are pursuing to achieve climate neutrality. SustainableBusiness.com has been reporting on green business since 1996. It runs the longest running green jobs service, Green Dream Jobs, along with networking for green businesses. 2degrees is the world’s leading community of practice for sustainable business with over 7,500 professionals from 100 countries collaborating to solve problems and seize opportunities. Greenspiration Home is a homeowner-to-homeowner online resource for building, renovating, decorating green. All of our content is based on actual homeowner experience! Green Ec offers energy efficiency consulting services for both residential and commercial clients. Primarily in NewYork State. Fearless Nation was recently founded by a PTSD survivor and is a great source of support and understanding. Much needed and deeply appreciated! The Energy Center of Wisconsin is a nonprofit organization that is dedicated to the wise use of the energy resources we have, promoting an economic balance while seeking sustainable solutions. Seven Star Events manage some of the largest and most complex trade shows in the U.S. They aim for zero waste and usually achieve it! GreenBiz is celebrating its 10 year anniversary and the depth of experience shows! News, resources and sustainability tools. The mission of 350.org is to inspire the world to rise to the challenge of the climate crisis – to create a new sense of urgency and of possibilities. Worthy of your attention, support and participation! 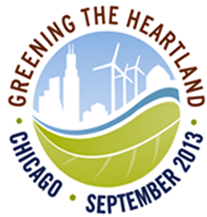 Greening the Heartland is a nonprofit organization with that seeks to provide the green building industry the opportunity to sharpen their skills, increase knowledge, and meet other professionals. Green America has long been known as one of the premier websites and organizations in the U.S. for their experience and conscientious management. Excellent source for a wide variety of information and events. The Alternative Consumer provides the latest in product reviews, eco news and green tips for the next wave of smart, earth-friendly consumers. GoGreenExpo manages many large events across the U.S. in a sustainable, responsible manner. Not an easy task considering the logistics involved! Future Green Chatham is an excellent example of what can be done when 19th century property lines meet with 21st century demands and innovation! The Chicago based Green Dream Group offers home energy audits, BPI Training and Green Building Certifications. A valued resource for the heart of the Windy City! Green Festival has undertaken the daunting task of creating and managing large events and doing so in a socially conscious and environmentally sustainable manner. Green Team Spirit seeks to aid and inspire green businesses through collaboration and team work. Great site with excellent participation and possibilities. Michelle Zhou’s Green Energy Blog is well researched and presented in a fun and informative manner. Helping businesses and people engage responsibly using social media. You’ve seen others do this, Justmeans just does it better! Home Energy Saver is the web’s first do-it-yourself home energy audit tool. Millions of people have used it to save energy at home, while trimming energy bills and reducing greenhouse gases. Noesis is a great common sense web based platform for energy efficiency professionals seeking project evaluations, performance projections and financing. Eco Green Hotel is bringing responsible and sustainable energy management to the hospitality industry. Whether considering lighting options, purchases of standard items, deep retrofits or designing from the ground up, it’s a great resource. The American Sustainable Business Council runs public information campaigns that educate and inform the public and policy makers about specific opportunities to create a more vibrant, just and sustainable economy. The World Resources Institute is a truly comprehensive database focusing on environmental, social and economic trends. Green Per Square Foot is a portal for both property ownerns andsolution providers looking for answers to their energy conservation needs. 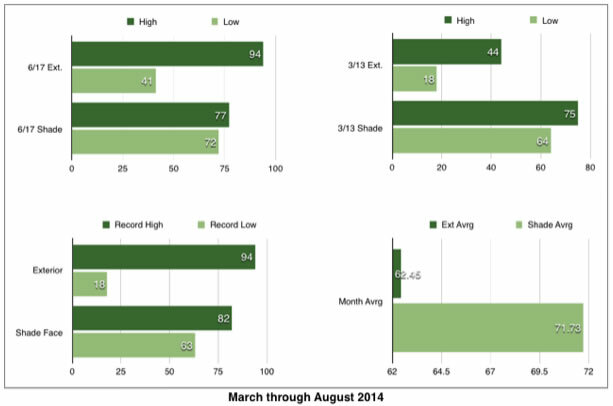 HeatSaver® Test & Weather Data from The Chicago Center for Green Technology. Moderate temperature extremes rather than simply paying for the effects. Summaries. The summary information is grouped into the 3 coldest and 3 hottest months. Hence the first summary report for February 2014 stands on its own. Building Maintenance Engineers and Energy Management Professionals often like to use October as a yardstick for gauging the efficiency and value of steps taken.